HMH Books for Young Readers, 9780544912465, 24pp. 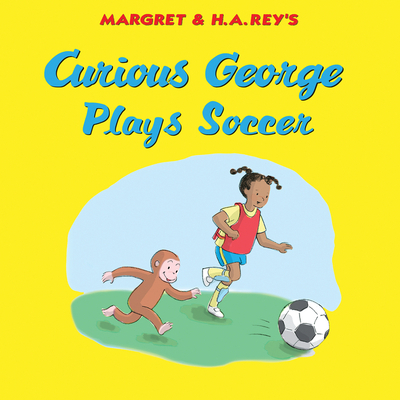 When George sees his friend Gracie playing soccer in the park, he's eager to join in—so eager that he grabs the ball with his hands and throws it in the net! Lucky for George, there's a soccer camp starting at the rec center where he can learn the basic rules of the game and all about dribbling, passing, and what it means to be a team player. George has fun—and gets into a little mischief—at camp, but it's not until the final game that he finds the perfect position for him. When he does, he proves to his teammates, coach, and himself that he's their MVM—Most Valuable Monkey!